Book your ART® appointment now! 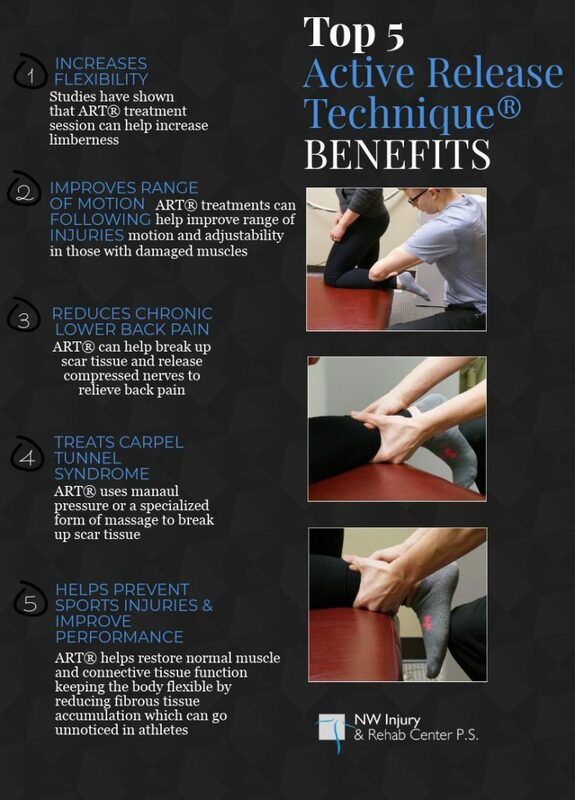 Active Release Technique® (ART®), a highly sought after service that few clinics provide. Our Active Release Technique® providers are licensed health care professionals that have chosen to go through extra education and training in the area of treating muscles, tendons, ligaments, fascia, and nerves. 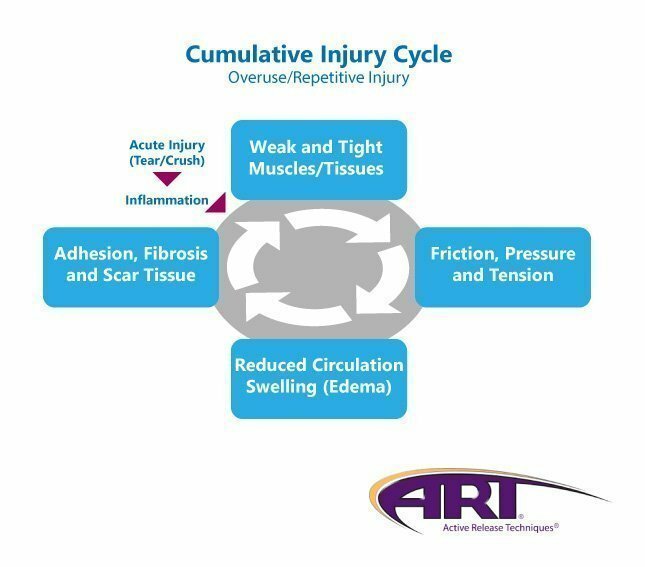 ART® is a highly specialized and specific soft tissue technique that differs from massage in that it requires active participation and movements by the patient while at the same time the practitioner is “pinning” down the affected tissue that is being elongated and released. The ART® practitioner has at their disposal over 500 different protocols to choose from depending on the patient needs. ART® incorporates the practitioner’s hands to apply the technique. The main goal is to establish increase motion between muscles and fascia while simultaneously eliminating restrictive weak fibrotic adhesions. Ultimately adequate “glide” is re-established between the layers of connective tissue, thereby allowing for optimum function and performance. Whether you’re on your feet all day, or stuck behind a desk, everybody from the weekend warrior to the professional athlete can get great results from ART®. In fact, just about everybody at some point in their life is going to suffer from aches, pains, and injuries, all of which respond exceptionally well with a laser focused Active Release Technique protocol.